The Belarusian game World of Tanks has become one of the most profitable in the world, earning $372m in 2013. The game, with 60 million users, is only one instance that shows how Belarusian IT business is achieving considerable successes and becoming global. Viber, the smartphone messaging and calling client, has become one of the most popular applications in the AppStore and Google Play, and EPAM Systems creates software for the largest companies in the world. These are just some of the world's leading companies with their roots in Belarus. Belarusian highly qualified specialists with a robust technical education and favourable business conditions in the industry have made ​​these achievements possible. 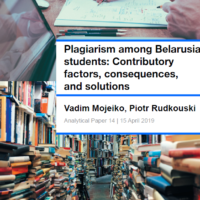 Success in this field should be an important lesson for the Belarusian authorities. Smartphone application Viber can become perhaps the biggest Belarusian brand on the global market. More than 200 million people use the program, with some hundred thousand people every day becoming new users of the service. Though the founders registered a company in Cyprus, the application developers work in Israel and two Belarusian cities: Minsk and Brest, a city in the west of the country. Minsk office employs about 60 people. Currently Viber's is mostly popular in the countries of the former USSR, Asia, Europe and the Middle East. The company has a global aspiration and often appears in the news from those regions. This year, the company made its services in ​​the Philippines free of charge to help victims of the typhoon to connect with one another. Also this year, Saudi authorities have demanded that they decrypt the services traffic, as they are unable to monitor it. Viber Media refused. As a result, Saudi Arabia has blocked the programme from being used within its borders. It is noteworthy that the company`s paid services in Belarus remain much more expensive than in other countries. For example, a one minute call to the U.S. phone costs 2 cents, while for a one minute call with a Belarusian number people should pay 39 cents. However, this price does not depend on the creators of the Viber, but on the telephone operators. Beltelekam, the state monopoly in this Belarusian market segment, sets such a high price. Viber`s case is not an exception. Some other companies with Belarusian roots have become global players. According to the Global Outsourcing 100 ® List EPAM Systems, an American company with Belarusian roots, became a leading provider of software in Central and Eastern European region. The market capitalisation of the company at the New York Stock Exchange even reached a billion dollars at one point. Microsoft, Barclays Capital, London Stock Exchange, Aeroflot, Gazprom, The Coca-Cola Company were among the clients of the company. Pennsylvania hosts EPAM`s headquarters. Arkadz Dobkin, Belarusian National Technical University grad, moved to the U.S. from Belarus in 1991 and was washing dishes at the time, founding EPAM Systems in 1993. Now more than 9,000 people work for the company, half of them in Belarus. Apart from Belarus and the United States, EPAM Systems has offices in 10 countries. It seems that every computer game addict knows the game World of Tanks, a tank simulator set in the time of World War II. This game appears to be the biggest game made by Belarusian developers with over 60 million people registered in it. Wargaming Public Co Ltd.'s official company registration is in Cyprus. In addition to offices on the island and in Belarus, the company has offices in nine countries and pursues quite an aggressive development strategy. Wargaming is a phenomenon for Belarus where all the big businesses are directly or indirectly linked to the bureaucracy – current or former officials, security officers and oligarchs controlled by Lukashenka. The company constantly launches new online games and swallows up Western game studios. During the last two years Wargaming bought two American and one Australian firms. Moreover, Wargaming diversified its own portfolio and on 31 October acquired a controlling stake in Hellenic Bank, a large bank of Cyprus at a cost of € 50 million. The poor reputation of Lukashenka`s regime casts a shadow over the whole country, including Belarusian innovators. However, Belarus has enough talented businessmen who can play the game on the global market. Success in the IT sphere has primarily to do with two factors. Although the Belarusian education system is clearly deteriorating, Belarusian programmers remain able to compete with their counterparts from the Silicon Valley. At the Belarusian State University the scores of programmers’ alma mater – the Faculty of Applied Mathematics – were considerably higher than in any other natural science faculty: 321-345 (depending on speciality) out of 400 possible points. Passing scores for most other natural science majors remained well below 300. The authorities seems reluctant to be a hindrance​ to this sector. Many joke that they behave this way because they do not understand this branch of business. Moreover, the Belarusian High Tech Park offers its residents a preferential tax regime and favourable legislation. The companies registered in the technology park pay a fixed income tax of 9% and receive exemptions from corporate and capital gains taxes, VAT and custom duties.​ Few Belarusian business people have similar conditions. However, Viber Media, EPAM Systems or Wargaming prefer to have their registration abroad. Not only do economic conditions influence their decisions, but political risks as well. On the one hand, businessmen are afraid of possible problems that the authorities could create. On the other hand, IT companies want to avoid economic sanctions by the U.S. and the European Union. IT's success proves that Belarusian business is alive. Highly qualified personnel and favourable conditions from the state authorities can secure the constant growth of the industry and its global success. This is a good lesson for the Belarusian authorities. Destroyed Jewish cemetery near Minsk's Jewish ghetto. Image: RFERL. Eastern Europe is central to Jewish history, but the region today lacks Jewish heritage sites. Very few landmarks commemorate the millions of Jews exterminated there during WWII, or their role in local culture and society before the Holocaust. A new project, “Shtetl Routes: Vestiges of Jewish Cultural Heritage in Transborder Tourism”, aims to address this problem: by November 2015, tourist trails honouring the Jewish heritage of Belarus, Poland, and Ukraine will link the border regions of the three countries together. The trail is likely to pass through the Belarusian towns of Navahradak, Slonim, and Pinsk. The first materials on the Jewish sites in Belarus will already appear online in the next few months. Launched by the Brama Grodzka Theatre NN Centre in Poland, the project benefitted from a €400,000 grant from the European Union’s Cross-border Cooperation Programme Poland-Belarus-Ukraine 2007-2013. The project is controversial in a region where anti-Semitism remains widespread. According to the 2009 population census, only about 0.1% of Belarusian citizens are Jewish. But according to a 2008 European Values Survey (EVS), one in every five Belarusian respondents admitted to not wanting Jews as neighbours. The project envisions the creation of three tourist trails along Jewish heritage sites in the border regions: one in Poland, one in Ukraine and one in Belarus, as well as a shared international trail. The project also aims to promote on-site and archival research and create a guidebook and Internet portal on Jewish history in the region. The project even envisions 3-D virtual models of five Jewish towns, or “shtetls,” to be built in each of the participating countries. On the Belarusian side Yanka Kupala State University in Hrodna and the Museum of History and Regional Studies in Navahrudak are responsible for the project. Judging by the scant mention of Jews in Belarusian school textbooks and state media, Belarusians might conclude that their country does not have much Jewish history. In reality, Jews were highly concentrated in the area as early as the fourteenth century. Poland and the then Polish-Lithuanian Commonwealth which included Belarusian lands became the centre of European Jewry due to a combination of push and pull factors. The Jews fled persecution in Western Europe, especially in the German states. At the same time, they took advantage of the many economic opportunities granted by the Polish monarchs. Although Jews could not own land or hold public office, they thrived as a middleman minority. Soon after the partitions of the Commonwealth by the Russian, Prussian, and Austrian empires, the area experienced an influx of Russian Jews due to the institution of the Pale of Settlement. Instituted by Catherine the Great in 1791, the Pale restricted the residence of Jews to the western provinces of the Russian empire. In the 19th century, the Pale was home to over five million Jews, representing 40% of the world’s Jewish population at the time. At the beginning of the 20th century, Jews amounted to over 30% of the Belarusian population. Some towns, such as Minsk, Pinsk, Mahiliou, Babrujsk, Homiel, were nearly 50% Jewish. Some of the most famous Belarusian Jews include artist Marc Chagall, composer Irving Berlin, and Israeli Prime Minister Yitzhak Shamir. In the 1920s, the Yiddish language even had the same status as Belarusian, Russian, and Polish in Soviet Belarus. A few decades later, over 90% of the Belarusian Jewish population was exterminated in the Holocaust. Since 1989, most of the remaining Jews (over 57,000) have emigrated to Israel, bringing the Jewish population of Belarus down to 13,000, according to the 2009 census. Strikingly, anti-semitism in Belarus remains even in the absence of Jews. Most Belarusians are likely to have never met Jewish people in person. Even so, some 20% of Belarusians would prefer not to have Jews as neighbours, according to the 2008 EVS, a cross-national survey research program on basic human values, covering over 47 European countries/regions. In Belarus, 2008 EVS wave was sponsored by the European Values Study (EVS) Foundation, Department of Sociology at Tilburg University and by Renovabis at the Belarus State University. The share of the Belarusian population negatively predisposed against Jews is far greater than in neighbouring Latvia (9%), Ukraine (11%), Russia (14%), or Poland (18%). Only Lithuanians, with 28% of respondents mentioning Jews as undesirable neighbours, proved to be more anti-Semitic in the 2008 EVS. The survey results suggest that anti-semitism is especially prevalent in small towns and rural areas. Disturbingly, Belarusians have become more anti-Semitic since the 1990s, as can be seen when comparing the 1999 and 2008 EVS results in the figure below. 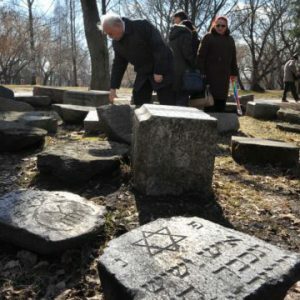 According to the Union of Belarusian Jewish Associations and Communities, many Jewish cemeteries in Belarus are in disrepair and some have been vandalised. Most Belarusian synagogues suffer from a lack of proper upkeep. For example, the Hrodna synagogue, the oldest functioning synagogue in the post-Soviet space, was in desperate need of renovation. As restoration work was ongoing, in November 2013, a fire destroyed the facade of the synagogue and damaged floors and windows. Many non-Orthodox Christian churches also suffer from a lack of funding and attention from the state. Reviving tourism in Eastern Europe’s pariah state? The Shtetl project could mark an important step toward combating the ignorance about Jewish history and anti-semitism in Belarus. An added benefit is that the project will contribute to the development of cultural heritage sites in Belarus. Of the 119 thousand tourists who visited the country in 2012, nearly 80% came from Russia, mostly for gambling. According to Belstat, international tourists spend just four days on average in Belarus, which suggests they may be visiting the capital Minsk en route to Russia or Ukraine. The meagre interest of tourists may result from Belarus’ negative reputation abroad and poor tourist infrastructure. Lonely Planet calls the country “Eastern Europe’s outcast”, stating on its website that “the country's flattening in WWII means that there's relatively little of historic interest to see”. Tourist infrastructure is particularly poorly developed outside Minsk. Many historic buildings require restoration, especially in western Belarus, the area covered by the Shetl trails project. The border region presents additional challenges due to arduous customs procedures, which include humiliating security checks targeted at smugglers of cigarettes and alcohol.